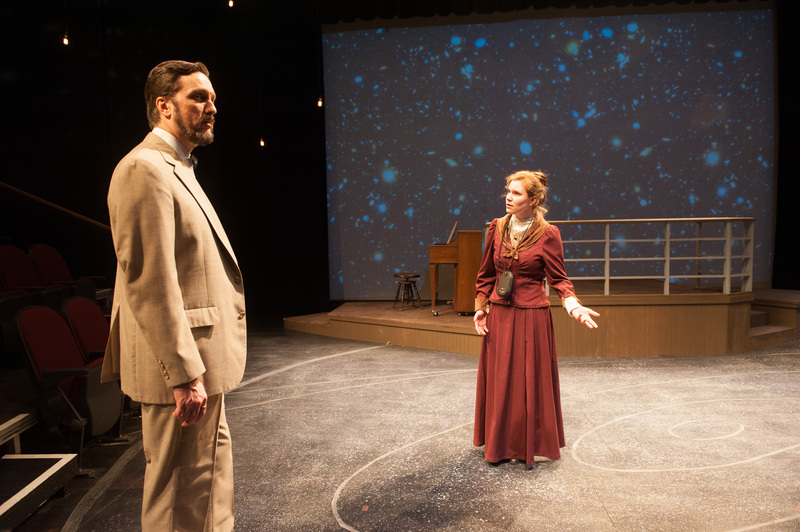 Final Weekend for Silent Sky - garnering more raves -So Come! 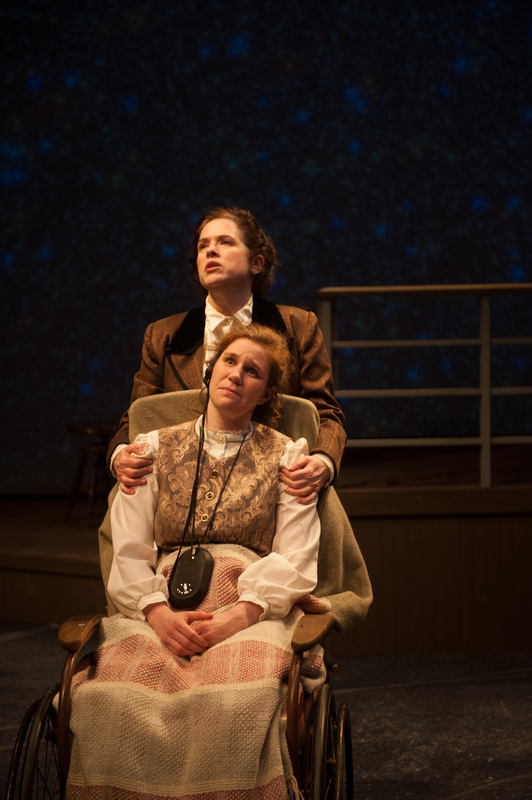 Lauren Gundeson's Silent Sky is lighting up hearts, minds, and Vermont's theater scene for a reason. 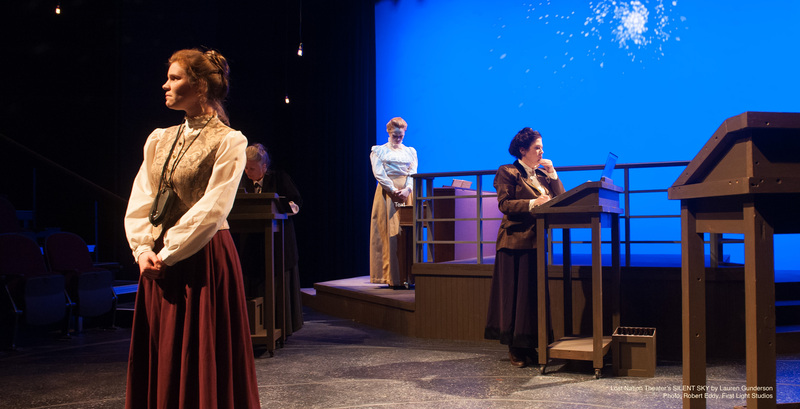 The incredible true-life story of astronomer Henrietta Leavitt, her colleagues Annie Jump Canon and Williamina Fleming, all they overcame and contributed is richly, humorously, & touchingly told in Gunderson's script and brought to life on-stage at LNT in a "must-see" production. 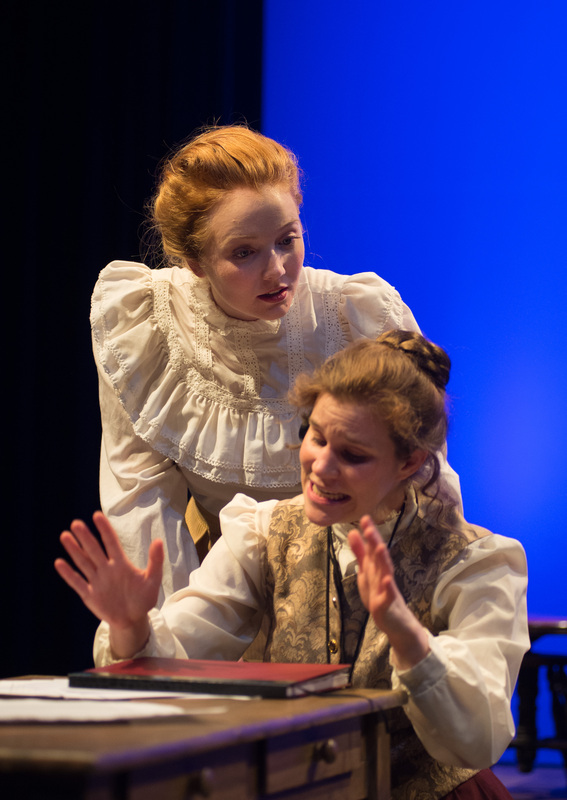 The final four shows are This Weekend 7:30pm Thu/Fri/Sat and 2pm Sun, May 3-6. Thanks to Robert Eddy, First Light Studios for all the photos on this page. Cast includes: G Richard Ames, Emme Erdossy, Lindsey Newton, Eve Passeltiner*, Courtney Wood. Here are more unsolicited testimonials as to why YOU should make sure you see the show! 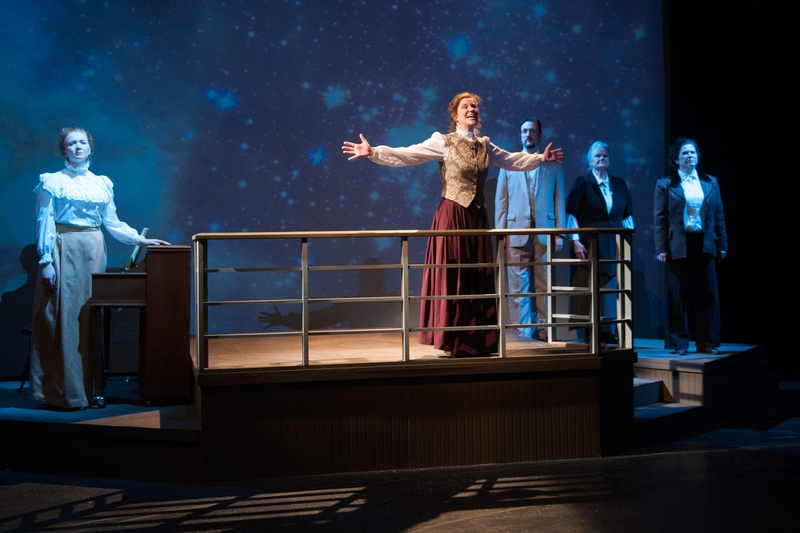 Issues plays often focus myopically on the issue the playwright wants to present, how the issue affects those characters in the play, and then offers some type of sermon about humanity's brokenness. 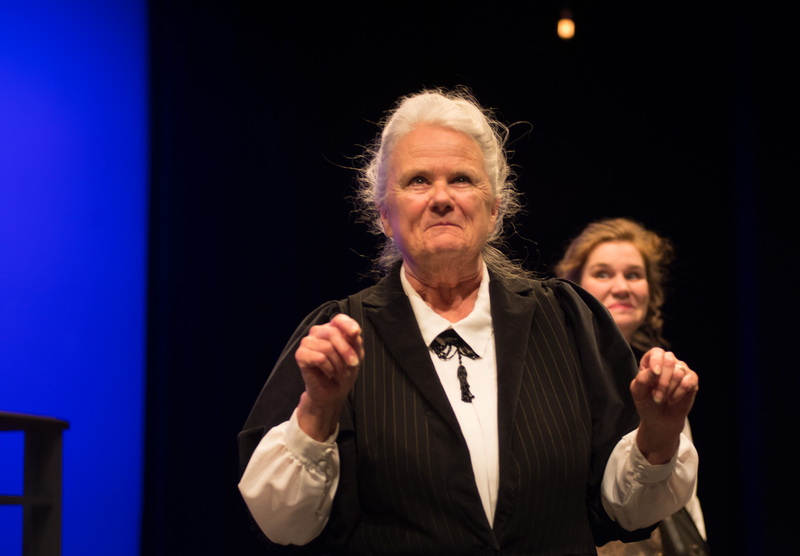 That is not the case with "Silent Stars", the opening play in Lost Nation Theater's 31st year. It raises numerous issues, all set in the context of delightful, warm, passionate human beings, almost all of whom are in pursuit of a deeper understanding of. . . the universe. Entering the theater, you immediately become part of the cosmos, thanks to a creative set and lighting plan. And pay attention to that background music and read the story behind it, as it's just one of several salutes to the power and talent of women. This is a production for all people. It has the boldness to explore with freshness themes of love, family, religious beliefs, women's rights, and pursuing your passion. Anyone who has a daughter, take her, for this is herstory at its best. Anyone who has a son, take him, so he can learn that much of the history he's been studying is incomplete! Anyone who believes in the importance of teaching young people science, technology, and math should grab the nearest neighborhood young person and bring them to the show. Anyone who has a heart , take it, give it a fresh chance to feel, to be enlightened. As Henrietta says, "I am out of time, but light has never let me down." There are 4 more days... Thu, Fri, Sat evenings and Sunday afternoon. Do yourself a favor and make a date at LNT.